Brenton Avdulla has been tossed from Estijaab when the Slipper winner bungled the start of a trial. 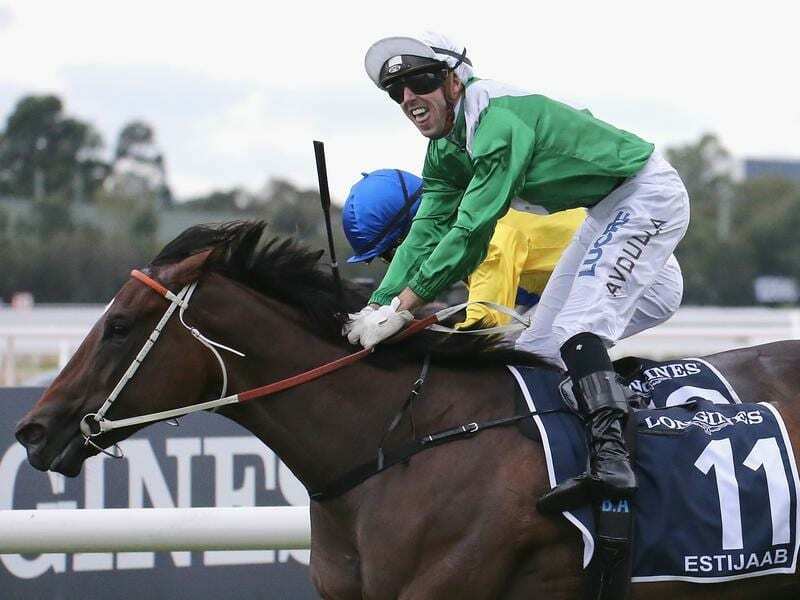 Golden Slipper winner Estijaab’s return to the public eye has not gone as planned with the filly tossing Brenton Avdulla at start of a barrier trial at Rosehill. Estijaab knuckled over coming out of the gates and left Avdulla behind as she galloped in front of the field in Tuesday’s 900m-heat before being caught by the clerk of the course. Avdulla was complaining of pain in his left hip and wrist and will not ride at Gosford on Wednesday.